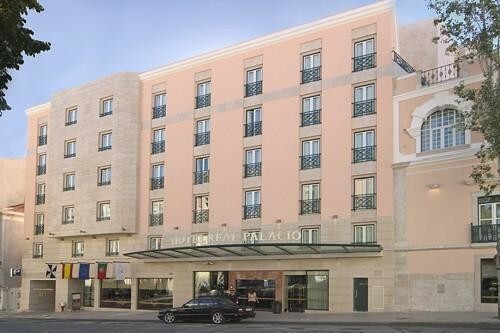 The magical and stylish 5 Star Real Palácio is located in a small residential area and also conveniently close to the heart of the City. Two minutes walk will take a guest to the renown Store 'El Corte Ingles' and the Eduardo VII Park and its 'Estufa Fria' (Biological Gardens). A little further are the Calouste Gulbenkian Museums. 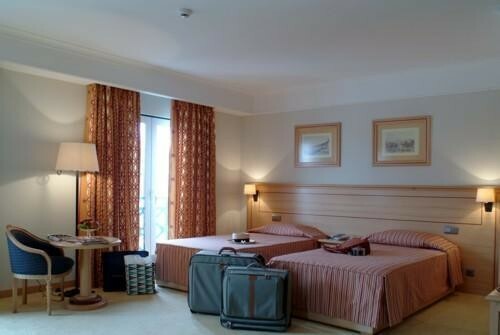 The Hotel offers a choice of 147 very comfortable rooms, composed of suites, twins bedrooms and a number of singles. When visiting the city your hotel room is your haven for rest and composure. Each bedroom contains all those necessary extras and comfort to be expected of a high quality hotel. Separate bedrooms with communicating door are also available. Disabled guests have their own specially prepared bedrooms and easy access to the public rooms. There are two restaurants and an inviting bar which during the week provides occasional live jazz entertainment. Children are welcomed and well catered for with special menus created to satisfy the younger appetite. Businessmen will find the convenience of an Internet connection within each bedroom and this is supported by a well equipped Business Centre on the ground floor. There is a well equipped Fitness Room with sauna, steam baths and massage treatment. Spacious room with a minibar and cable TV. Featuring a terrace, this spacious room has a cable TV and a minibar. Featuring a luxury decor, this spacious room comes with a minibar and a cable TV. Featuring 2 terraces, this extra spacious room includes a separate living room with a seating area and a coffee table. Includes: - Sparkling wine - Bonbons - Late check-out (upon availability) This room can accommodate up to 2 adults and 1 child or 3 adults.